In 2015, Eduard Nikitin shared a joke on social media about Russia's bleak future. Three years later he is facing trial on extremism charges over this and one other meme. Lawyers say the Kremlin is trying to force people to think twice before sharing opinions online -- one of the last remaining spaces where the opposition is relatively free to organise. 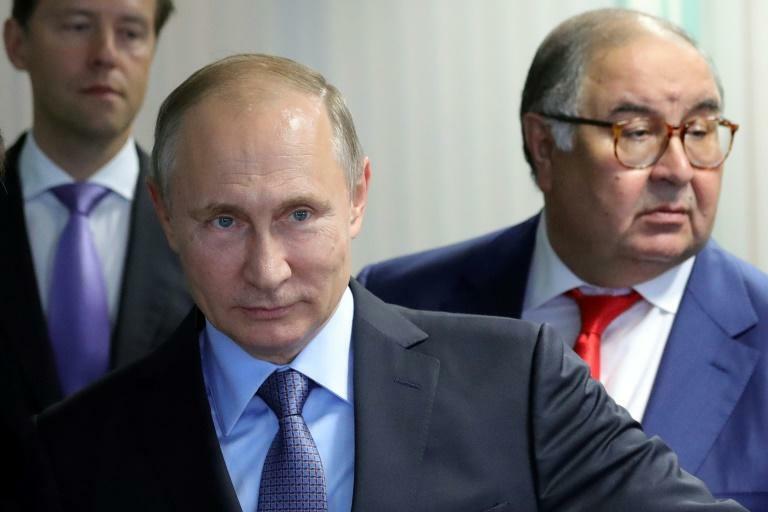 "It turns out that for a harmless joke, anybody who doesn't agree with our country's leadership can be prosecuted," Nikitin's lawyer Maxim Kamakin told AFP after a preliminary hearing in Saint Petersburg on August 20. "It seems that in our country only optimists have the right to exist." The other features a drawing of a "vatnik" -- a padded coat popular during the Soviet period that is also slang for uneducated Russians who uncritically follow those in authority. The "absurd" case has seen Nikitin's bank account blocked, his computer briefly confiscated and left the activist unable to participate in any opposition campaigns, according to his lawyer. The vaguely worded charges he faces -- inciting hatred or degradation of human dignity -- carry a maximum six-year jail term, though most convictions lead to a shorter sentence, fine or community service. Under the image was written "Jon Snow is risen -- Truly he is risen! ", a play on the Orthodox Easter greeting, which has led to the teenager's ongoing prosecution on the grounds of religious hatred. Maria Motuznaya, a 23-year-old who like Markin comes from the Altai city of Barnaul, faces separate extremism charges for images saved on the VKontakte network -- Russia's Facebook equivalent, which rights groups say cooperates with security services. One of them, featuring apparently African children holding out empty bowls, carries the caption: "black humour is like food -- not everybody gets it". 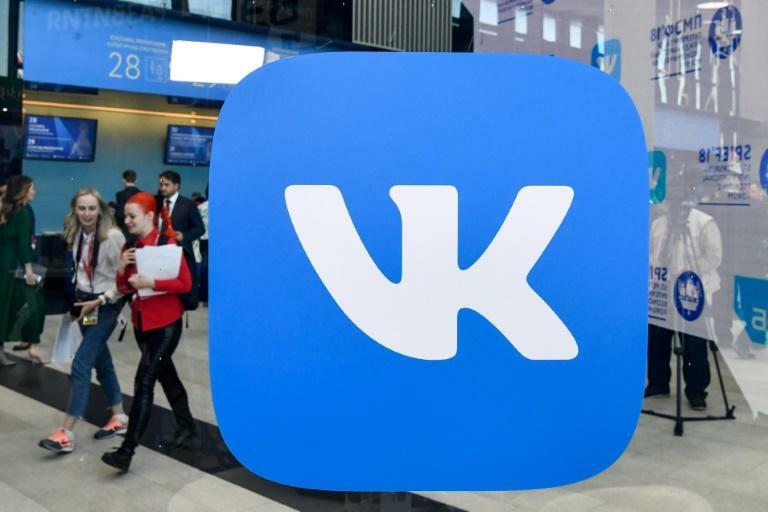 "Too often the actions of law enforcement agencies clearly do not correspond to the potential threat and their reaction to posts or memes are groundlessly harsh," Mail.ru, which owns VKontakte, said earlier in the month. "The main idea behind these policies is to create fear amongst internet users. The aim is to create the impression that authorities are following every network user," he told AFP. "Many users are already scared of sharing their own thoughts, they're self-censoring their content, they're deleting what they shared earlier. 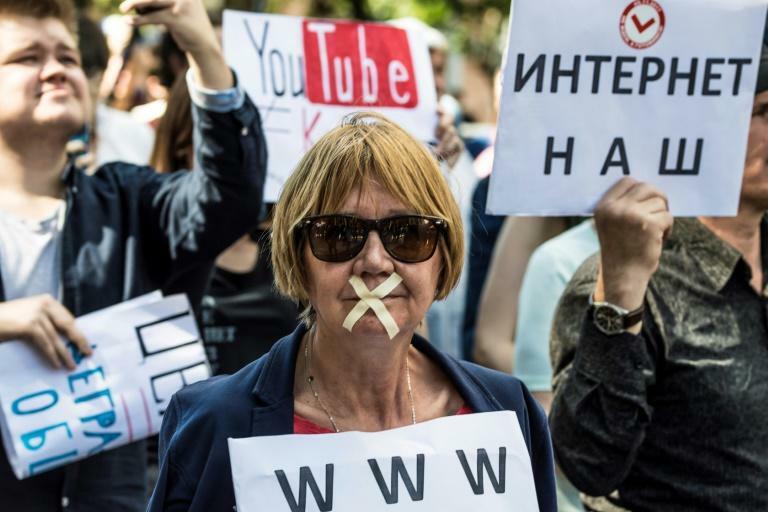 That reduces the level of free speech on social networking sites in Russia." "I've just been deleting a lot of my photos and posts from my wall that have been building up there for the last couple of years," he said of his VKontakte profile. "Now there's a definite fear -- the state's going crazy and you can be arrested just for 'liking' something. I don't want to get caught up in all that, I want to be safe."